The field of aesthetic medicine continues to evolve at a very fast pace. We are proud to offer our patients the latest non-surgical treatments to maintain that youthful appearance they love. If one of your concerns is the presence of excess fat beneath your chin, Kybella could be the solution you’ve been wishing for. 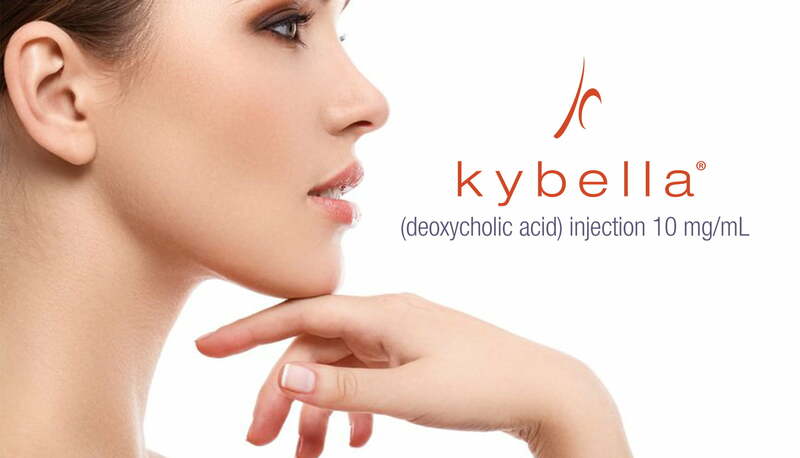 Kybella is an injectable solution formulated with synthetic deoxycholic acid. This molecule occurs naturally in the body to assist in the metabolism of dietary fat. Patients that do not want surgical solutions can turn to Kybella to remove excess chin fat and rejuvenate their neck area. Kybella is currently approved for the treatment of submental fullness. You may know this by the name “double chin.” No one likes what this excess fat does to the appearance of the face. Regardless of total body weight, a double chin gives the illusion of obesity, however slight. Men and women express the concern they feel when the fat beneath the chin doesn’t budge, no matter how well they eat or how much they work out. The scale may change, but this area of the body doesn’t decrease in size. Any adult who feels self-conscious about submental fullness is a good candidate for Kybella treatment. Prior to injections, however, a physical assessment should be performed to confirm that the girth of the chin area is, in fact, related to the accumulation of fat cells and not a medical condition. In order to remove excess fat, Kybella targets the fat cells in the treatment area. In our office, Dr. Claytor will place several small injections along the jawline. This will allow Kybella to adequately contour the jawline and decrease fat in the chin and upper neck areas. Then, the fat cells absorb the deoxycholic acid solution. Once they are full, they rupture and the body metabolizes their contents. This process does take some time, but most patients find this a tiny consequence with a great payoff. The side effects of Kybella are similar to those that may occur after other injectable treatments, such as Botox and dermal fillers. Patients may experience slight swelling and redness due to the number of injections they receive. Additionally, patients report numbness, slight discomfort, and bruising after treatment. An important note to remember about treating submental fullness with deoxycholic acid is that every person is different. Where one person may feel uncomfortable during and after their injections, another may have zero pain. Some patients notice a sensation of “fullness” in the chin area as the liquid solution is absorbed into fat cells. Side effects after treatment are short-lived and should be mild. Like liposuction for fat removal, Kybella can achieve permanent rejuvenation results. The longevity of a smooth, svelte chin and neck really comes down to weight management. Kybella treatment does not destroy the full extent of fat cells beneath the chin. Those cells that remain can expand in the event that significant weight gain occurs. This is because there is no way to predict which fat cells on what part of the body will expand in response to eating habits. With a healthy diet and exercise, it is possible to maintain results indefinitely. It can take time to realize the desired result. However, results are generally noticeable after the second session. Typically, most people get the greatest benefit from at least two treatment sessions. Our team recommends scheduling your additional sessions about 4 weeks apart. 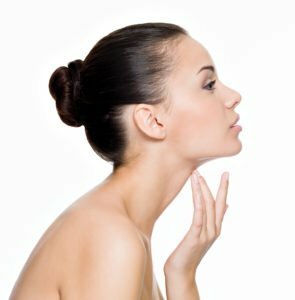 However, there are some who may require up to four visits to fully contour the problem jawline area. Historically, submental fullness has been corrected with liposuction. Kybella is a non-surgical alternative that is appealing for its minimal downtime, side effects, and successful results. There is no time like the present to banish the bulge under your chin. For more information on Kybella, call our Bryn Mawr office at 610-527-4833.